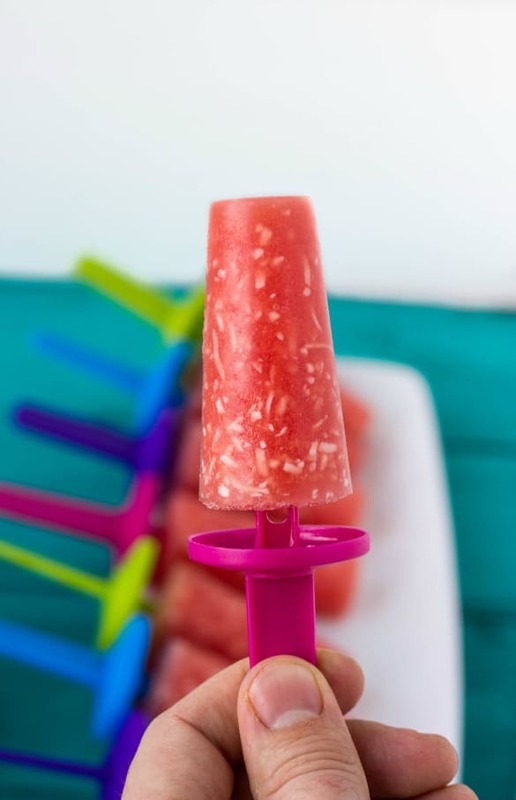 These three-ingredient strawberry kiwi popsicles are super easy to make and a fun project to do with the kids this summer! Hi everyone! Kacey from The Cookie Writer here today to help out Ashlyn with a fun, but easy, summer dessert recipe. Growing up my mom would often make us homemade popsicles. To this day I still love making them and I couldn’t wait to surprise my daughter with these strawberry kiwi popsicles when she got home from school! The funny part was that she was more upset that I made the popsicles without her… Kids! So, since I had some extra filling, I let her make a couple of her own because they are THAT easy! So light and refreshing, who would pass up on these strawberry kiwi popsicles! Note: Simple syrup is made by combining equal parts of granulated sugar and water in a small saucepan. Cook over medium heat until sugar has dissolved completely (no need to boil!) Allow to cool completely. Add the strawberries to a food processor. Puree until smooth. Strain through a sieve to rid of the seeds. Mix in some simple syrup if desired. Add the kiwis to a clean food processor and puree until smooth. Strain through a sieve to rid of the seeds. Mix in some simple syrup if desired. Layer your popsicles as you desire in popsicle molds (get creative here!) Place into freezer and wait until frozen. The amount of strawberry kiwi popsicles you end up with all depends on how large your popsicle molds are 🙂 Have fun and be creative! My daughter decided to do alternative layers whereas I kept mine simple. These are truly beautiful!! Love the flavors and absolutely love those colors! Strawberry and kiwi is one of my favorite summer flavor combinations!! Beautiful popsicles! These would be perfect for my daughter’s swimming party next week! The best flavor combo! These are the prettiest little popsicles! 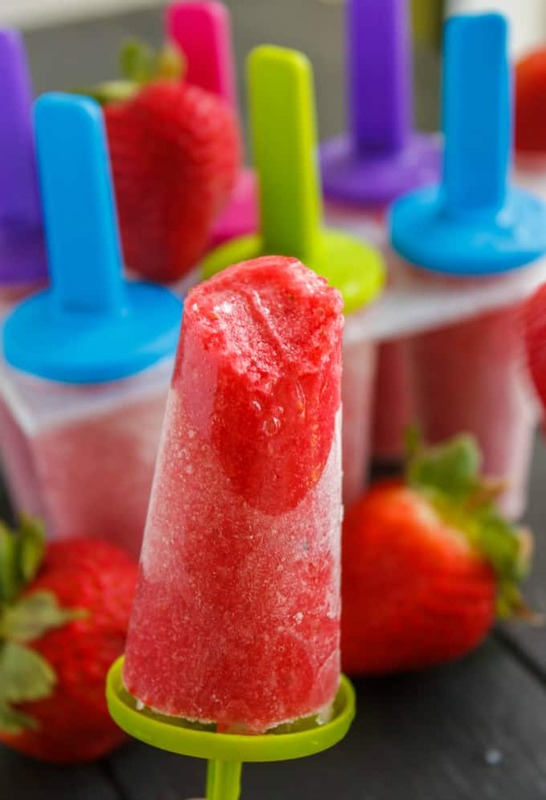 My kids love making popsicles, and I’m going to try these soon! Kiwi + Strawberries are a super great match. Their flavor is so refreshing together. I love how colorful these are ! What a perfect way to keep cool all summer long! Yum!